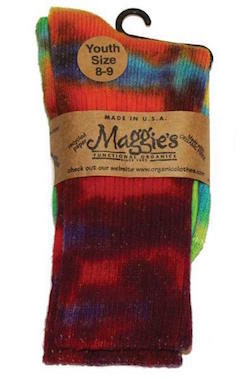 Beautiful tie dye socks made with Organic Cotton for youth, great worn cuffed or rolled up. Packaged as an individual pair. These fun and colorful socks are great for all occasions and make a unique and cheerful gift!